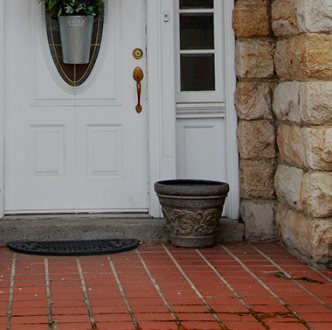 Frost King provides three types of weather sealing products to keep your doors draft-free, your home more comfortable and your energy bills under control. Door Sets (also called Jamb-Ups) are installed down the sides and across the top of a door. They effectively cushion the door as they weatherseal it. In older homes, they can compensate for warped doors or jambs. Frost King has many styles to choose from. Remember, even a small gap under your door or around your door frame can let in as much frigid January air as an open window or a large hole punched through your wall. Browse the products below. Got a question about door thresholds, sweeps and sets? Download this handy Home Checklist. View the FAQs below or, if you have a different question, call (800) 299-5700. Replacement Seals for Kerfed Doors.